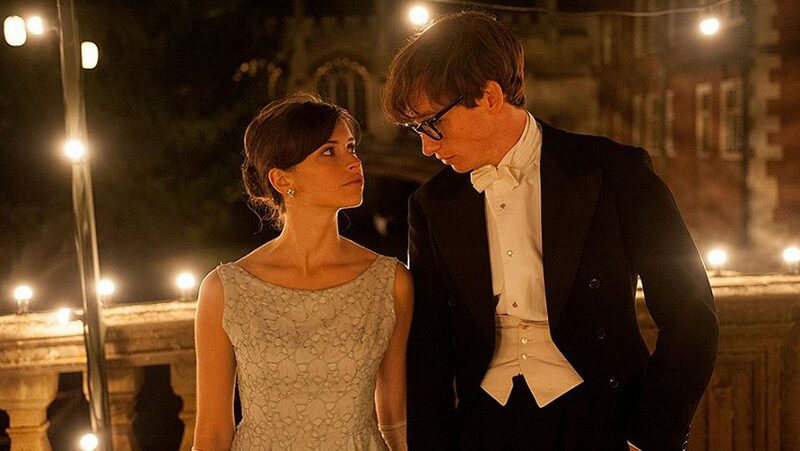 Joyce Glasser reviews The Theory of Everything (January 1, 2015) Cert 12, 123 min. The Theory Of Everything directed by James Marsh, is not a biopic of cosmologist Stephen Hawking, but the story of his marriage to Jane Wilde Hawking. It is adapted by Anthony McCarten from Wilde’s memoir, ‘Travelling to Infinity: My Life with Stephen ’. Right away there is a problem, of course, because despite Wilde’s own intelligence, accomplishments (which include a PhD in romance languages) and her role as the woman behind one of the century’s greatest minds, it is still all about Stephen. Stephen is who we are most interested in and, in this adaptation, Wilde’s point of view is too delicately immersed within his story to alter this. Moreover, Marsh’s handsome, but conventional story telling does not do justice to Hawking’s explosive ideas or the couple’s increasingly fraught and unconventional marriage. 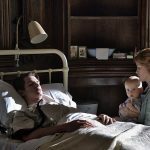 The reason to see the film is Eddie Redmayne’s (Les Miserables) Oscar-tipped portrayal of Hawking and Felicity Jones (Like Crazy, Chalet Girl) as the physically and emotionally exhausted wife and mother behind the celebrity husband. If you are looking for a reliable biopic on Stephen or Jane, however, you’ve come to the wrong film. In 2013, Stephen Finnigan gave us an absorbing and relatively comprehensive documentary that celebrated Hawking’s accomplishments without shying away from some of the less glamorous aspects of his life. Unlike The Theory Of Everything , Finnigan showed how Hawking’s childhood in a family of non-religious intellectuals (his father was an Oxford mathematician) influenced his life and how the loss of the use of his hands in his thirties forced Hawking to imagine, work-out and retain his theories in his head, which he did with remarkable clarity. We also learn that as well as Jane, and nurses, Hawking’s PhD students were saddled with carer responsibilities, and not all of them welcomed the intimacy. Although Hawking’s A Brief History Of Time: From Big Bang To Black Holes (1988) sold 10 million copies and is in the Guinness Book of Records for remaining on the Sunday Times Best Seller List for 237 weeks, Marsh downplays the book’s huge impact on Hawking’s life and the marriage. One minute Hawking was a celebrated scientist; the next, he was an international celebrity, pushing Jane further into the shadows. It seems that if the assertive Elaine Mason (Maxine Peake) had not come along as Stephen’s live-in nurse and pushed Jane out, the marriage would have continued. 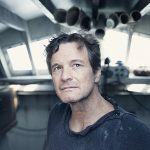 One gets the impression that the film, which required the cooperation of all the parties, is as honest as it cares to be with Jane, Stephen and their children still alive. But if you have read Jane’s autobiographical memoir, you cannot help but feel uncomfortable watching a film that simplifies the very private and complex emotions, routines and dependencies that enabled the marriage to last for 25 years and then unravel. When Jane admits that she was convinced that without her Stephen ‘would be like a lost child, an unruly, assertive child’, it is no surprise that he would wish to assert his adult masculinity in any way possible. Elaine Mason, appealed to the man who resented being called a ‘child’. Stephen turned a blind eye to Jane’s affair with her music teacher (Charlie Cox), who was a permanent fixture around the house, and it seems that Jane was willing to accept Mason for Stephen’s sexual purposes but no more. The bitter arguments over religion and Stephen’s petulant demands and disapproval, no doubt the result of frustration at his physical dependency, are barely touched upon. The Theory Of Everything normalises their lives together to fit the mould of a conventional love story ended, after 3 children and 25 years, by another woman. 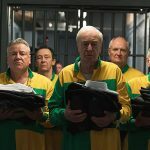 Most British biopics are conventional platforms for outstanding performances, and this is no different. Jones and Redmayne are superb. Jones might have the more difficult role, because it is less showy and dramatic, but she is so expressive in her facial expressions and body language, that you can always feel her wide ranging emotions. And who can object that Redmayne’s performance is being compared to that of Daniel-Day Lewis in My Left Foot, particularly when Hawking is so much better known? If you look at a photo of Hawking on his wedding day, Redmayne (with a little help from hair and make-up) is a dead-ringer for the real thing. His portrayal of a sufferer of Motor Neurone Disease (MND) is astonishing. You forget that Redmayne is acting and it does not even bother us that the same actor plays the man for a period of twenty-five years. Thanks to these performances, Marsh’s compassion for his characters, the fine period detail and Benoit Delhomme’s romantic cinematography, the film contains enough to make it work as a remarkable love story, if not as a remarkable motion picture.